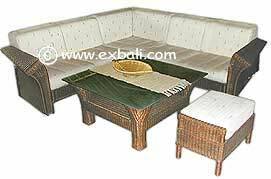 KNOCKDOWN MODULAR RATTAN FURNITURE SETS: Rattan Furniture to fit your lifestyle, made from welded tubular framing and woven with cane or rattan the innovative design of this knockdown furniture allows the user to mix and match modular sections. With several base lengths to choose from and interchangeable armrests you can create a new look for your furniture in minutes. 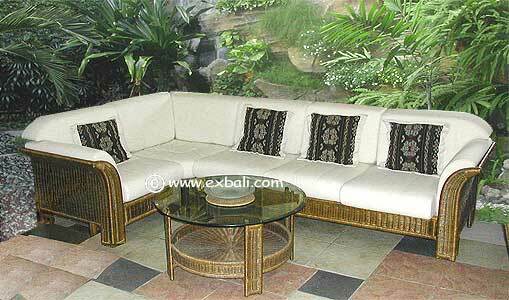 The solid design incorporating tubular frame construction makes this furniture stronger than traditional rattan. Interchangeable armrests and base lengths. Knockdown Furniture maximizes the space potential when loading into shipping containers.